Energy produced by nuclear fusion, like almost any new energy that's about to break-through, begins with the same phrase: it's only 10 years away. Many scientists believe it's not possible, but a reputable manufacturer, Lockheed Martin, announced that its famous Skunk Works facility will build a compact nuclear fusion reactor that will fit on the back of the truck in only 10 years. Nuclear fusion is the holy grail of energy production. It's clean, plentiful, safe, and -- if the technology is ultimately discovered -- cheap. Program manager Tom McGuire stands next to the T-4, which represents the first phase of the team’s compact fusion reactor development. Ultimately, the operational reactor would be 10 meters by 7 meters; small enough to fit on the back of a truck. Nuclear fusion is the same atomic reaction that powers the sun when a large amount of energy is released after two atoms fuse to form a heavier nucleus with temperatures in the tens of millions of degrees. But on the other hand, nuclear fission -- which powers our current nuclear technology -- an atom is split and the energy is harnessed. Fission's radioactive waste politically limits its production. While current nuclear fission technology powers ships across the oceans, Lockheed Martin believes nuclear fusion reactors will soon power aircraft. Greenpeace mocked Lockheed Martin's research into nuclear fusion for "planning to waste years of research, resources and money that must instead be devoted to clean, affordable and sustainable energy sources." Research into nuclear fusion across the globe has been ongoing for more than 60 years and history is littered with failures. 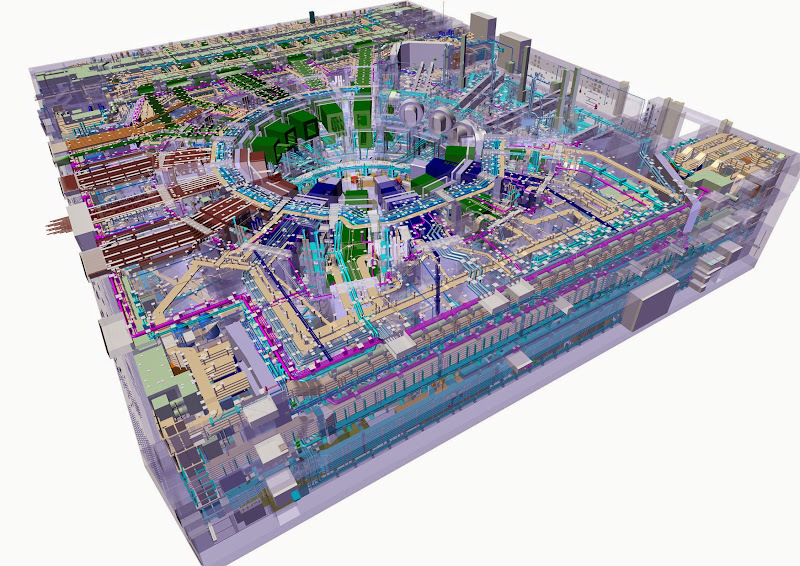 Take a look at the International Thermonuclear Experimental Reactor (ITER) that's located in France. Funded by the European Union, India, Japan, China, Russia, South Korea and the United States: planning began in 1985, construction began in 2007 and is expected to be finished in 2019. 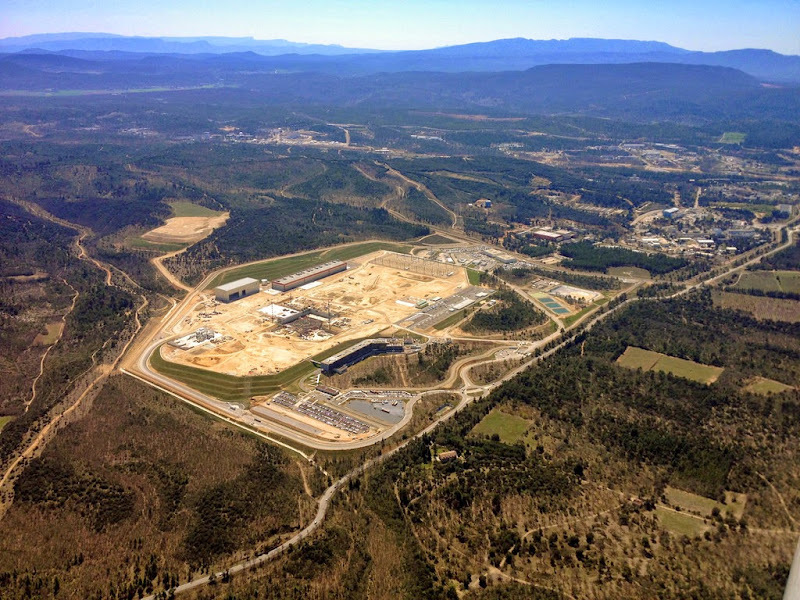 ITER's nuclear fusion construction underway in southern France. Diagram of ITER's large experimental nuclear fusion reactor. 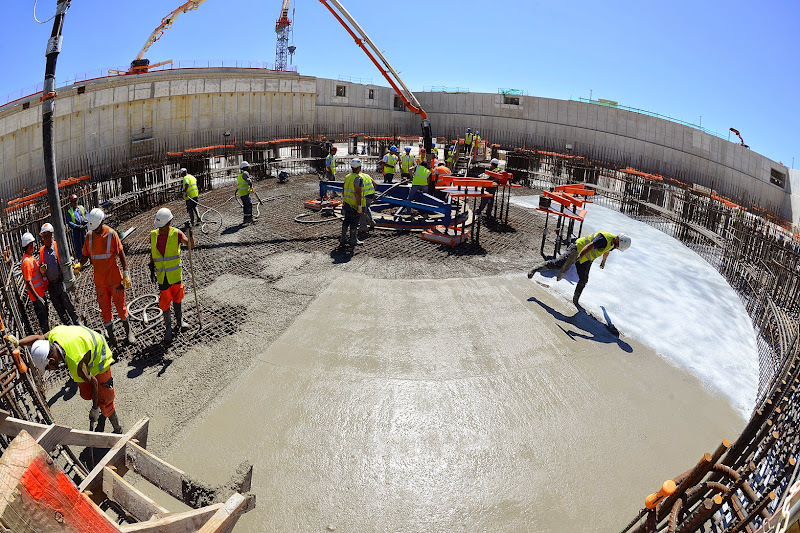 Construction of the foundation for ITER's nuclear fusion reactor. But ITER's fusion reactor won't begin operation until 2027 at the earliest, costs $50 billion and rising, and will only work if some huge scientific barriers can be broken by then. Has Lockheed Martin figured out something other fusion scientists have not? It would not be unheard of for Skunk Works to come up with something unexpected. "We think we've invented something that's inherently stable and it's ten times smaller than the mainstream approaches," said Tom McGuire, Lockheed Martin's spokesman, to reporters at a press conference where he announced the breakthrough. McGuire said Skunk Works have been working for the past four years on the theoretical work and have begun the first experiments. "We don't have any results that we would want to publicly call out quantitatively," he said. "[But] we know we can heat and ignite the plasma with under a kilowatt of power and get it lit." He said the team would publish their results in a peer-reviewed paper in 2015. 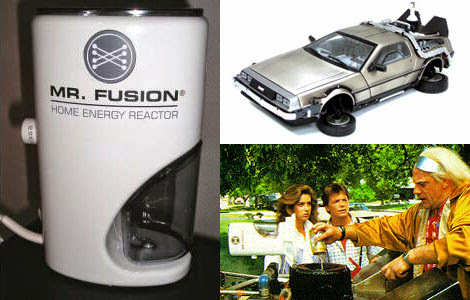 Energy investors don't seem to be nervous about the possible rise of cheap energy fusion in only 10 years. On the day of Lockheed Martin's announcement, West Texas Intermediate crude oil rose by 10 cents.